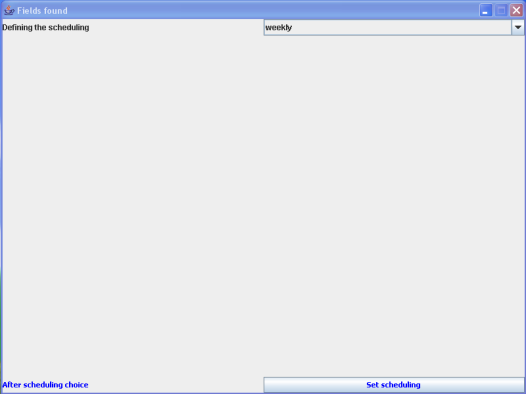 In this screen you can choose to define a scheduling or not for your EtlTool. If you chose "none" there will be not scheduling. You can fine the scheduling of the EtlTool into the "scheduled tasks" of Windows. The scheduled task created is controlling the frequency of the launch of the "EtlTool.bat" file into the datasource folder.